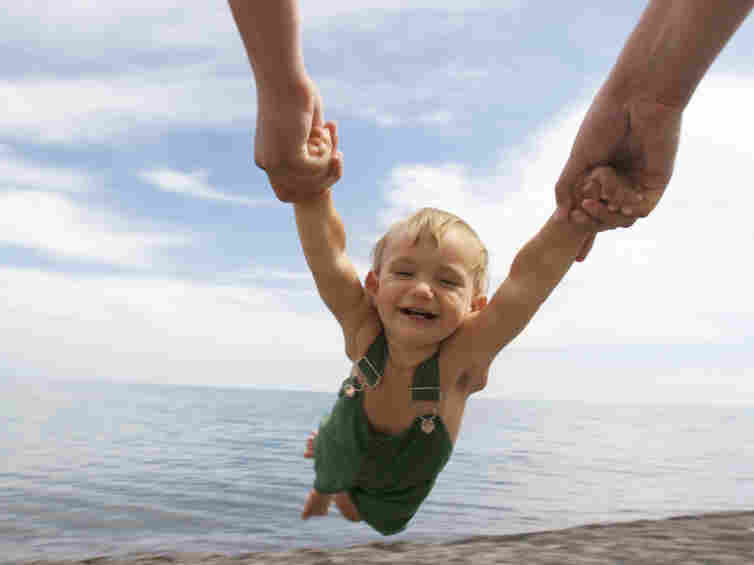 A Parenting Paradox: How Kids Manage To Be 'All Joy And No Fun' We call babies "bundles of joy," but decades of social science research show that kids don't make parents happier. In her new book, Jennifer Senior takes a closer look at how we quantify joy. As a parent, how would you rate this moment on a scale of 1 to 5? 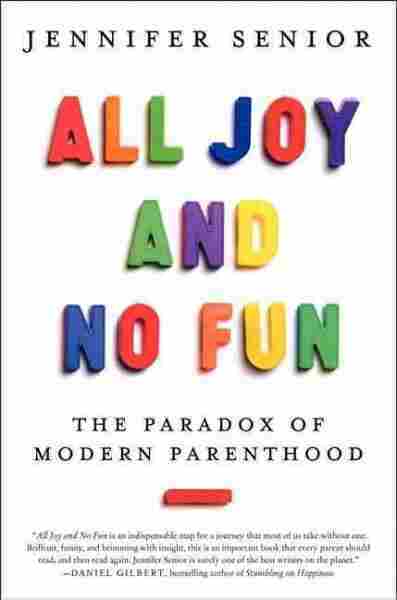 In her new book All Joy and No Fun, Jennifer Senior says parenting research sometimes fails to quantify the joy of having a child. There's no shortage of books about how parents affect their children's lives, but what about vice versa? That's what New York Magazine contributing editor and mother Jennifer Senior sets out to investigate in All Joy and No Fun, a book about parental well-being. "We assume that children will improve our happiness," Senior tells NPR's Melissa Block. "That's why babies are called bundles of joy. But what's so interesting is that one of the most robust findings in the social sciences — and it's been this way for about 50 years — is that children do not improve their parents' happiness." Senior scoured decades of data about parental happiness and says that the numbers are pretty discouraging. Children either have a net effect of zero, or they "slightly compromise their parents' happiness" she says. But what about that "bundle of joy"? In All Joy and No Fun, Senior attempts to untangle "the paradox of modern parenthood." The title, she says, "was a casual aside uttered by a friend of mine. He was a new father, and when asked what he thought of the gig, [he said it] was: 'All joy and no fun.'" So what the data was really leaving out was, in my view, joy. On most of these questionnaires and surveys, joy is indistinguishable from other kinds of pleasant feelings. If you're happy you just give it a 5. Maybe a [This Is] Spinal Tap analogy is good here: I think the joy really goes to 11 and there's no way to kind of measure that necessarily on a scale of 1 to 5. That 5 you're feeling when your kid laughs or when your kid says something that's so totally, like, amazingly weird, or insightful, or sensitive — it's not the same as like getting a good laugh out of watching a movie or having a really nice time with a friend. It's just like a different category of experience and the fact that they all just numerically translate into the same thing is frustrating. That study blows my doors off every time I hear somebody repeat it back to me. What's truly amazing about Danny Kahneman's study is that when the women were answering this question, they didn't even realize they were ranking childcare so low. Daniel Kahneman did not design this study to determine how happy moms were. He simply wanted to know how happy people were during the day as they were going about doing their daily business. And only at the end ... when everything was all added up did he discover that parents would have preferred — yeah, napping, answering emails, shopping, watching TV ... housework, vacuuming clocked in higher which is amazing. Women seem to have this running ticker tape of concerns in their head all the time about their kids. Whereas men just have this great gift of compartmentalization. And this is not just me speaking anecdotally, this has been born out in not just one study but many. The amount of psychological effort that women spend on their kids in addition to physical effort is really quite striking. The amount of time that women spend berating themselves for not spending enough time with their kids ... or spending the 'wrong kind' of time with them — heaven forbid that they actually turn on the television and let their kids watch TV for a half an hour so that they can do the dishes. It's really striking what the differences are. What blew me away about Angie and Clint, is that Angie [who is a psychiatric nurse] during the day, she works with psychotics who are often in a delusional state and quite violent, and will bite, and will kick, and will hit. Yet she told me without any equivocation or ambiguity that she found her home life and her role as a mother much, much harder because she's not sure what she's supposed to do as a mom. 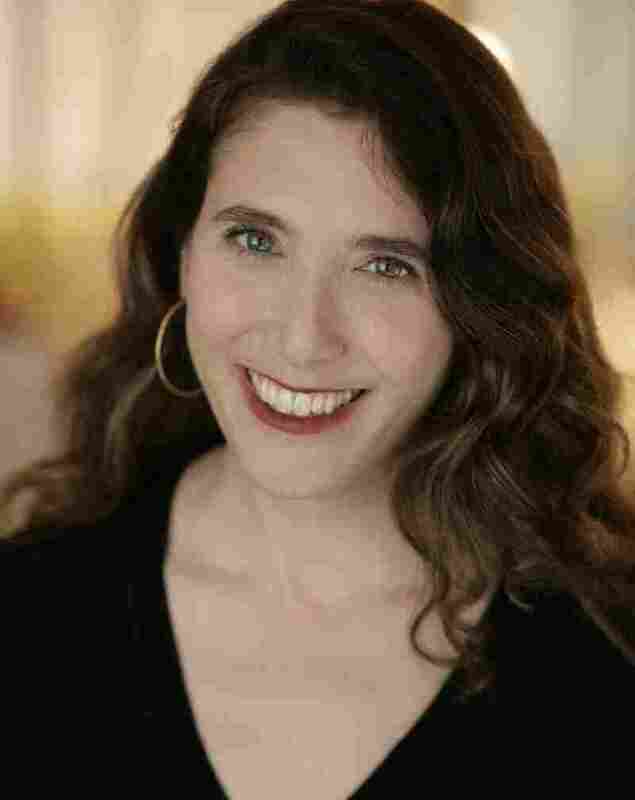 Jennifer Senior, a contributing editor at New York magazine, says she sees lot of mothers second-guessing themselves. She wants to create bumper stickers for women that say: "I Am The Standard." Whereas Clint who sits at a desk [managing rental car locations] — he's not contending with delusional patients — he finds working with his kids much easier. He finds his role of parent much easier ... he's very confident that what he's doing is just fine. He doesn't second-guess himself at all. Whereas when he's at work he's second-guessing himself all the time. That whole exchange, that said everything to me in a very small universe I heard all of the differences between how men approach this job and how women do. If you knew how many times I kind of hit "select all, delete" on those parts of the book ... the fact that there was so much data about this made it a more comfortable assertion to make. A lot of the material that I read about joy and meaning is something that I think about all the time now. And I do feel like — having spoken to parents of adult children and watching them well up with this wild sense of pride and accomplishment knowing what they know about who they've produced in the world — it's sort of an unrivaled feeling. I think also some of the data that I ran across just helped me figure out how to be a better wife. I have now learned, that if I have something to do on a Saturday, I say so on a Tuesday and we make plans for me to do that so that on Saturday we're not duking it out about who gets the three hours.